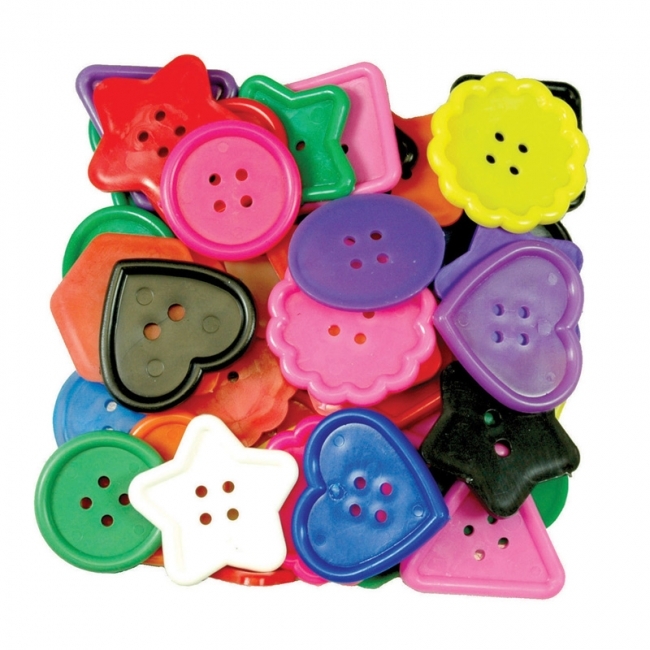 Bigger buttons and brighter colors! 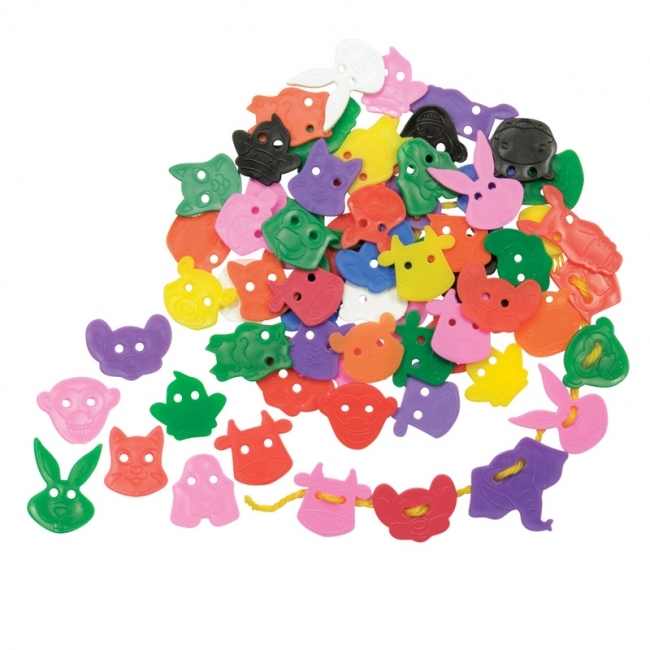 One pound bag in a variety of sizes, shapes and colors. 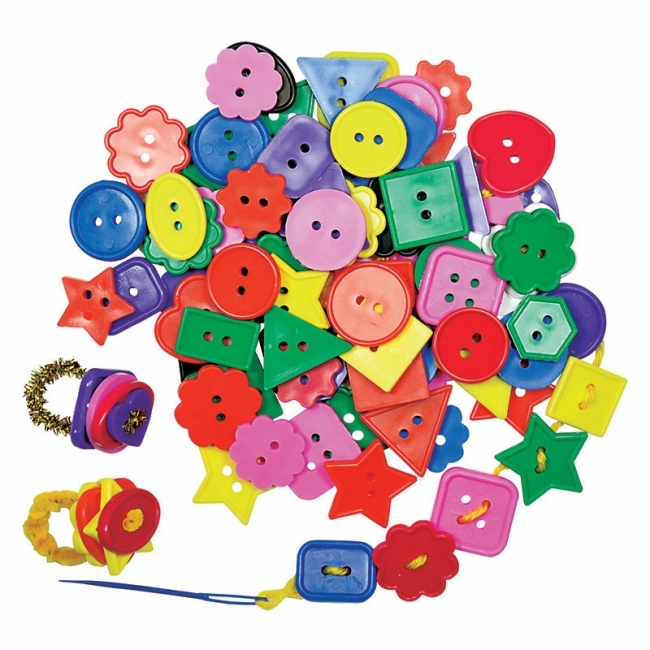 Perfect to use with all types of doll making activites or craft projects. 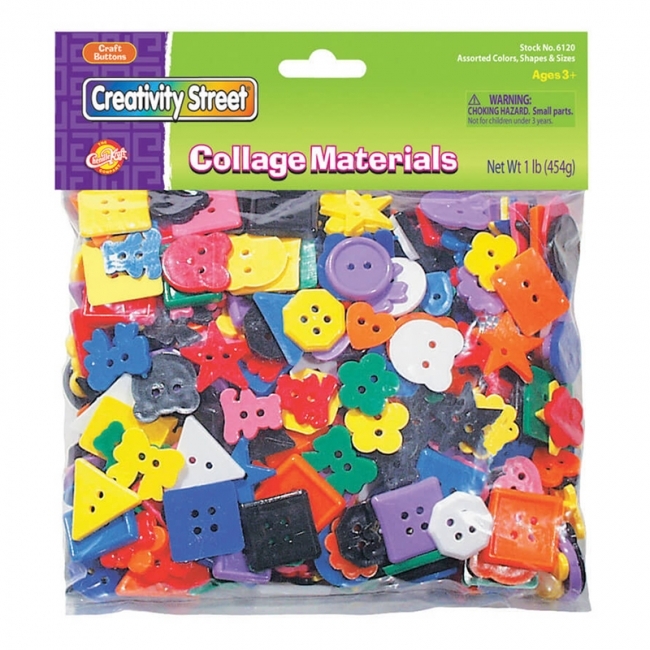 Make jewelry, decoupage, necklaces. 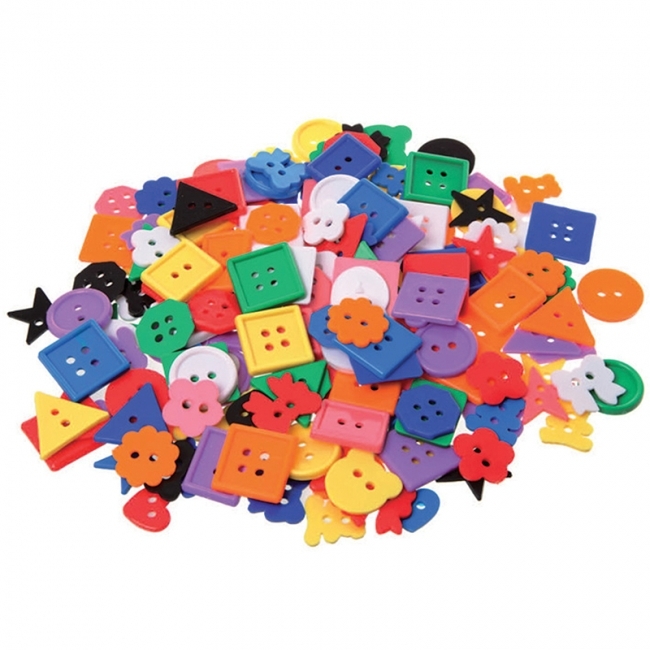 Teach sorting, counting or use as game markers. 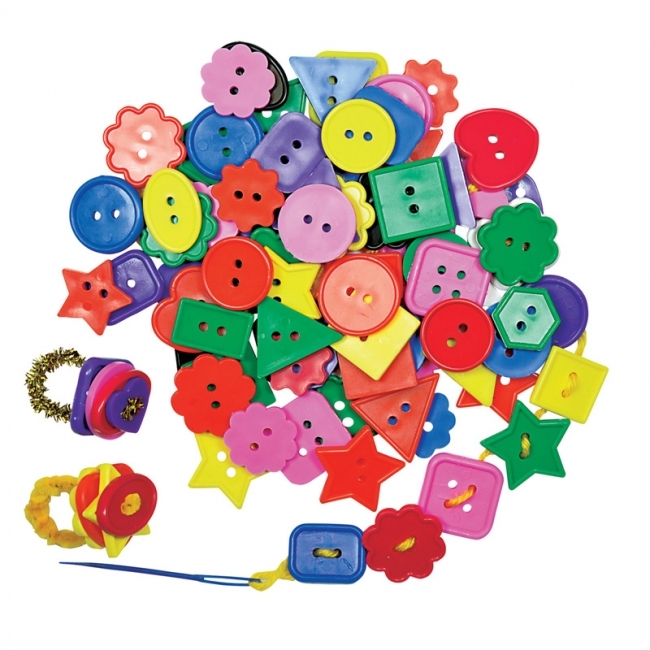 Our high quality craft buttons will add pizazz to any project. 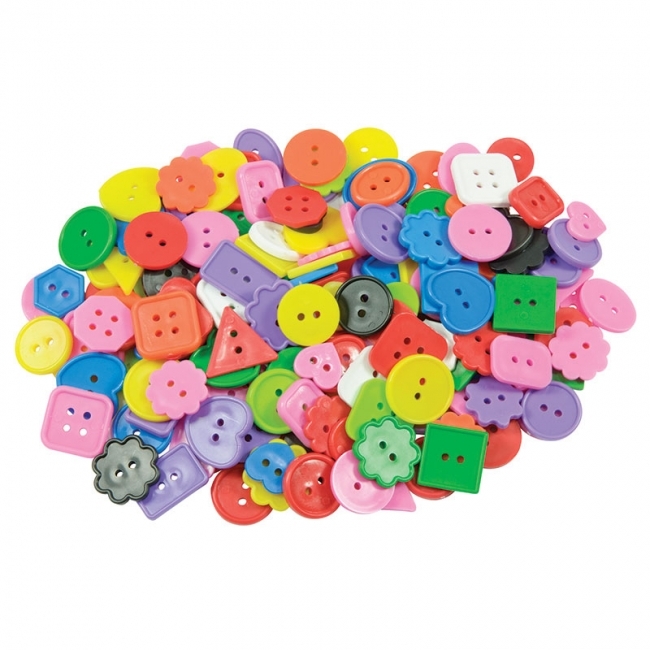 Assorted sizes and colors. 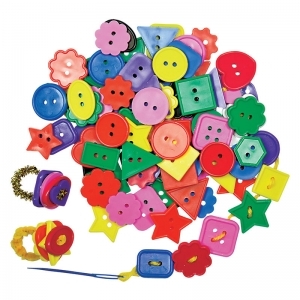 Choking Hazard - Small Parts. Not for children under 3 years of age. 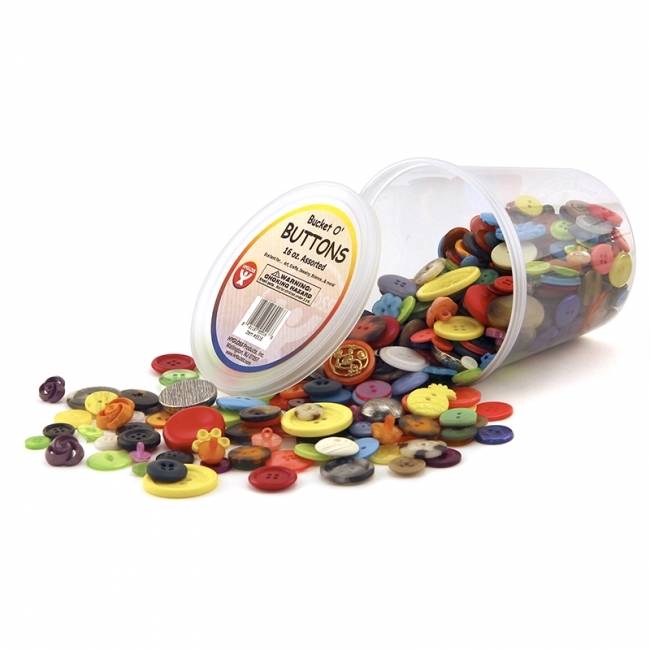 Bright Buttons are a must have craft supply for all collage or sewing crafts. 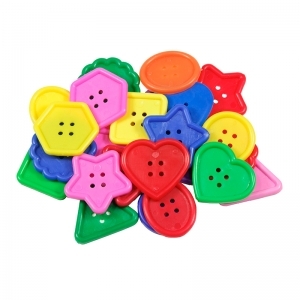 Excellent shapes! Cool colors! Use them to make math games to teach counting. Glue onto collage art! 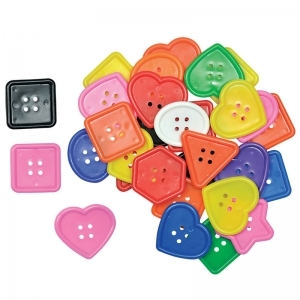 Each pack contains 1 lb. of buttons.